Huntsville is a step closer to landing a spaceship at its international airport. Now, if it can just get a federal blessing for the sonic boom that will be heard in three states when the ship approaches. 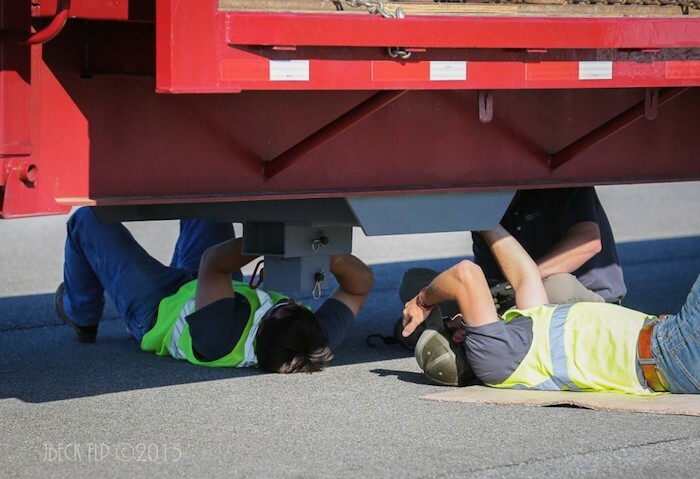 Officials said today they were "successful" in the first phase of testing whether Sierra Nevada Corp's Dream Chaser could safely and without damage land at the Huntsville International Airport. The Colorado company is developing the mini-space shuttle to ferry cargo and eventually astronauts to and from low-Earth orbit. It will take off atop a United Launch Alliance Atlas 5 rocket built in nearby Decatur, Ala.
"No airport related issues were discovered in this phase of testing that would prevent the Dream Chaser landing in Huntsville from becoming a reality," Rick Tucker, executive director for Huntsville-Madison County Airport Authority, said in a statement. A concern for airport officials was the impact of Dream Chaser's front skid pad on its embedded-light runways. The spaceship uses a skid plate instead of a front wheel for landing. Results of a skid test "demonstrate that runway impacts would be negligible," according to test engineers. - "Significant coordination of airspace" will be needed between the Federal Aviation Administration and regional aircraft control centers in Memphis and Atlanta. But those centers believe it is "feasible," and the study says, "There are no 'show stoppers.'" - The sonic boom from Dream Chaser's approach will be heard over 13,000 square miles and three states. That may mean a federal Environmental Assessment to study the impact on parks, recreational sites and historical properties. "We are very excited about the results from the initial phase of the study," Huntsville Mayor Tommy Battle said Thursday. 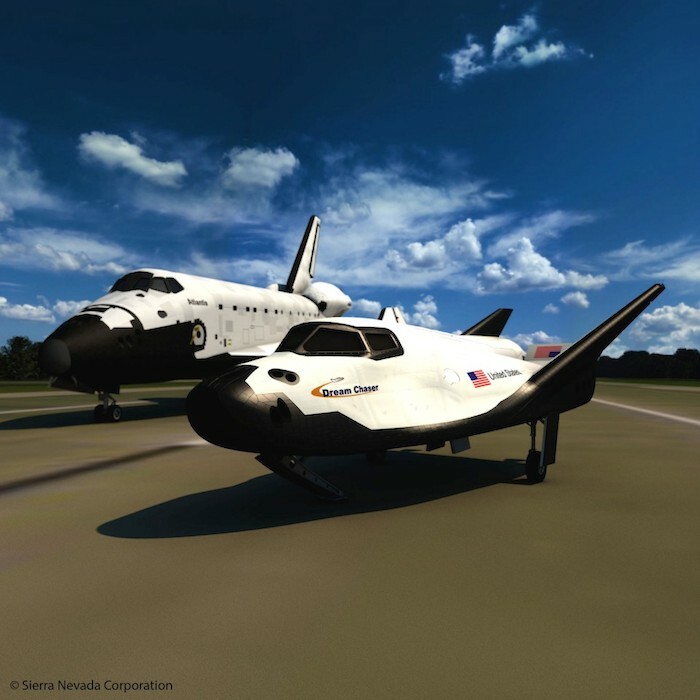 "Our historic leadership in space combined with our great partnership with Sierra Nevada Corporation make Huntsville a logical choice to land the Dream Chaser, and we look forward to conducting additional studies." "Landing the Dream Chaser at Huntsville International Airport would be an exciting next step for the Rocket City," said Lucia Cape, senior vice president of economic development for the Chamber of Commerce of Huntsville/Madison County. "In addition to having the required infrastructure for landing the vehicle, we have the expertise and assets for payload integration, operation and processing for Dream Chaser customers and we have great collaboration among our airport authority, elected officials and local businesses." Both runways are long and wide enough to support Dream Chaser. However, due to the touch down and centerline lighting on the west runway, the east runway (Runway 18L-36R) will be proposed as the primary runway for Dream Chaser. The quantities and types of chemicals and propellants that will exist on the Dream Chaser vehicle on landing were provided by SNC. The east runway has enough separation between the vehicle and inhabited buildings and public traffic routes to support the Dream Chaser and slightly larger quantities of propellants. The sonic boom will be heard over 13,000 square miles and 3 states. An Environmental Assessment is expected to be the most appropriate NEPA documentation required for the proposed operations. The assessment will determine potential constructive use impacts to parks and recreation sites, and historic properties that are protected under Department of Transportation Section 4(f) and Section 106 of the National Historic Preservation Act. The area of asphalt that may be adversely affected by the skid should be less than two (2) square feet The project team is currently securing funding to proceed with Phase 2 of the study which will include securing the appropriate licenses and further environmental impact testing and logistics analysis.